July 4, 2017 marks the 53rd birthday of the deputy governor of Imo state, His Excellency, Prince Ezeakonobi Madumere (mfr). About twenty-four years ago, this man on a mission and the present visionary Governor of Imo state, His Excellency, Owelle Rochas Okorocha met in an ordinary circumstance. In their subsequent several years of interaction, they successfully built a relationship of faith and trust in each other. During the 2011 general elections when Owelle was running for Governor, Eze Madumere became his unflinching and unwavering supporter. Owelle’s opponents calculated to use this unique supporter to get at his principal. They clamped Madumere in jail on trumped up charges hoping they could use him to undermine his boss. Shockingly, to Owelle’s enemies Madumere gallantly endured the pangs and shackles of oppression, survived the ordeal, dug in and clung even more firmly to Owelle, the man he believed in, trusted and respected till today. Prince Eze Madumere is a widely acclaimed achievement-oriented individual. Only recently, Eze Madumere aided substantially in attracting funds from the resources outside Imo state for the purpose of developing the State. This assertion emanates from his contributions in attracting Rural Access and Mobility Project, (RAMP); the consolidation of Governor Okorocha’s monumental feat in rural development such as FADAMA, and NEWMAP, an effort which consequentlyhas saved our people from losing their lives, property and farm lands to gully erosions and remedied other ecological challenges. Not long ago, the Deputy Governor travelled to Botswana and South Africa leading adelegation of Engineers of Federal Republic of Nigeria to learn the latest techniques in road construction devoid of asphalting. This technique will be adopted for the construction of 400 Kilometers of rural roads across rural communities in Imo State. Additionally, the citing of incubation and technology hub in ICAPS Imo State stands out as another evidence of the Deputy Governor’s lending hand to the development of this great state. The Prince in the rescue mission has pioneered Peace and Conflict Resolution within and without the state. 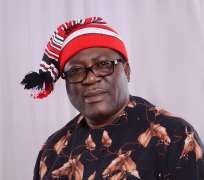 Thus for an instance, he was the motive force behind the resolution of the teething border conflict between a community in Abia state and Ihite Uboma in Imo State. Madumere solely played a prominent role in resolving the intractable dispute between Orsu-obodo and Addax oil company; AGIP oil and Ohaji/Egbema; the near-crisis situation between Irete and Nigeria Bottling Company PLC, which almost led to the collapse of the beverage industry’s business in that area. Today peace has prevailed in the area and business is thriving again. Madumere has maintained in no small measure an enduring peace and harmony with his boss and emerged as one of the most celebrated deputy governor in Nigeria. His grim determination to promote the welfare of Imo youths and his unflinching determination to empower them through his PEZE Initiative have caught the sight of neutral observers. This is not to talk of the countless humanitarian activities of Madumere foundation, one of which is his donation of the digital dental machinery to 34th Infantry Brigade of Nigerian Army, Obinze, power generating sets for small and medium enterprises, grants for budding entrepreneurs among others. As a passionate leader, he has freed many poor patients stranded in the hospitals due to lack of funds through his traditional regular hospitall-visits. Due to the Deputy Governor’s dedication and go-getter disposition,Governor Okorocha entrusted the security matters in his hands and the outcome is free, safe and secure Imo State. Charity they say begins at home. Through the magnanimity of Governor Okorocha, Madumere has put a great deal ofeffort into the development of Mbaitoli, his home local government Area. The long Nkworji- Obazu-Orie Mbieri-Achi road, all the way to Ubomiri; the Orodo-Ogwa road and the Nwaorieubi to Ukwu-Orji road just started serve as the glaring specimen in this direction. His attraction of the magistrate court buildings, the high court in making, the standard police stations with a view to creating a new Mbaitoli judicial district need be mentioned. The reactivation of Mbieri water scheme that was abandoned for over 50 years powered with two power generating sets and provision of electric transformers stand today to his credit. His exposure, experience and quality representation in representing his boss at various events at national and international fora has turned him into a great national figure of great repute. One can go on and on yet, he is only the second in command. Those who understand politics know how hard it is to perform as second in line of authority All credits to Owelle Ndigbo whose free hand policy has enabled The Prince to perform feats. Discussing all the achievements of Eze Madumere in his over four years as a deputy governor is a herculean task fit to be left for the hour of reckoning. For now one can only say, that Imolites wish their highly performing Prince a happy birthday and God’s amazing Grace in abundance.